This is a great place to canoe or kayak. 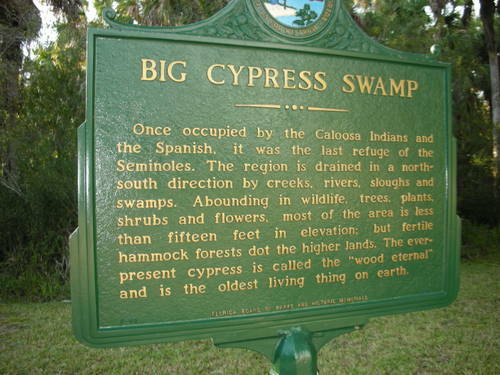 You can also camp here and see the equipment used during the creation of the Tamiami Trail from Tampa to Miami. It is located east on 41.